Is the elusive mantle plume responsible for Hawaii's unusual volcanoes? Hawaii's volcanos stand as silent sentinels. They guard the secret of how they formed, thousands of miles from where tectonic plates clash and generate magma for most volcanos. A 2017 study found the best clues yet of the origin of Hawaii's volcanos through simulation of a shift in the Pacific plate three million years ago. But what remains elusive is conclusive evidence that mantle plumes exist. Kilauea erupts. Scientists aren’t sure why Hawaii’s volcanoes have formed so far from the edges of tectonic plates. One answer may be mantle plumes. Courtesy The Guardian. These hypothesized plumes are mushroom-shaped upwellings of hot rock from the deep Earth. Believed to form within the thermal boundary layer at the base of the mantle, they are thought to carry heat from the Earth's core that generates a volcano's magma. Scientists have now made the best computational modeling yet of mantle plumes. An international science team showed through supercomputer simulations, details of how plumes decelerate seismic waves and how they appear in seismic tomographic images of the Earth's mantle, the layer beneath the crust. What's more, the researchers say their work could help guide future experiments on the ocean floor with deep Earth imaging and help get to the bottom of mysteries like the origin of Hawaii's volcanos. "We found that mantle plumes are likely to be more challenging to seismically image than we previously recognized," says lead author Ross Maguire, pointing to a lack of seismic data coverage. Seismic imaging can see rock structures thousands of kilometers below ground by listening to the echoes of earthquakes. Networks of seismic stations sit on the ocean floor and measure differences in the travel time of seismic waves through rock, in essence taking a CT scan of the deep Earth. But oceanic deployments of seismic sensors are costly and tough to plan and execute. "In our study, we used computer modeling to find optimal imaging scenarios, so that we can recover the most detail of mantle plumes at the lowest cost," Maguire says. "We hope that our results will help guide the design of future seismic deployments aimed at imaging the mantle beneath hotspots." "The thing that is probably new in this work is that we combine, maybe for the first time, actual numerical models of how plumes form and how they rise in the Earth with estimates of their seismic structure," says co-author Jeroen Ritsema, of the University of Michigan. "We've also explored how various network configurations might change the way that we are imaging plumes. We've done extensive tests to figure out the optimal configurations of seismometers on Earth to see plumes. This is particularly important for Hawaii," Ritsema says. 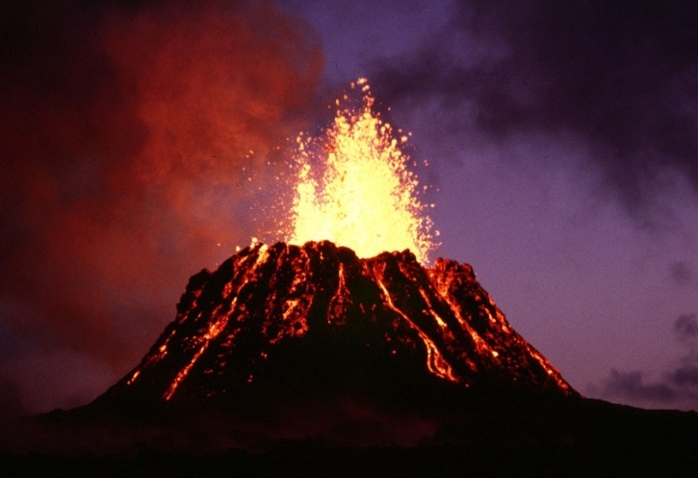 "Hawaii is a place where we believe there is a plume responsible for volcanism on the Hawaiian islands. We've determined what might be optimal offshore deployments on the seafloor that could lead to best images of the deep mantle beneath Hawaii." "It is a big computational challenge to simulate wave propagation through mantle plumes," Maguire says. Which is why the team turned to The eXtreme Science and Engineering Discovery Environment (XSEDE) to provide access to supercomputers and expert consultation. "We would not be able to do this type of work without supercomputing resources like those provided by XSEDE," Maguire says. "They allowed us to run our wave propagation simulations on hundreds or sometimes thousands of computer cores in parallel." The science team tackled their modeling requirements using the seismology software package SPECFEM 3D (GLOBE), which is a spectral element code developed by Jeroen Tromp of Princeton and his team that simulates wave propagation in the Earth's interior. They used the Stampede1 supercomputer of the Texas Advanced Computing Center (TACC) through an XSEDE allocation that ran over 1.2 million core hours on Stampede1 and continues with the Stampede2 system. The workflow management proved daunting, with many simulations that produced hundreds of gigabytes of data. "The XSEDE team was really helpful in answering all my questions about how I can optimize my workflow, or how I can efficiently transfer large amounts of data from Stampede onto my local machine," Maguire says. But supercomputers might finally be starting to catch up with long-standing scientific questions and help provoke new questions. "Understanding Earth dynamics is of fundamental importance, because we all live here and are affected by what goes on beneath our feet,” says Maguire. “The existence of mantle plumes and the role that they play in our planet is still a big question mark. Plumes have been linked to some of the biggest volcanic eruptions in the history of the Earth. And they're thought to potentially play a role in the largest mass extinction events that we have on geologic record. There's still a lot that we don't understand about them. 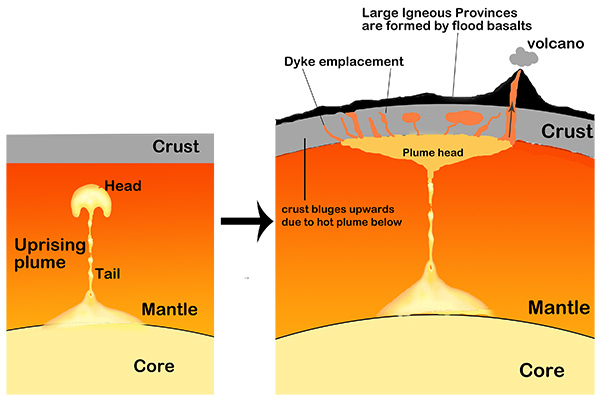 Doing research into probing the nature of mantle plumes is of fundamental importance." Read the original article on TACC's site here.